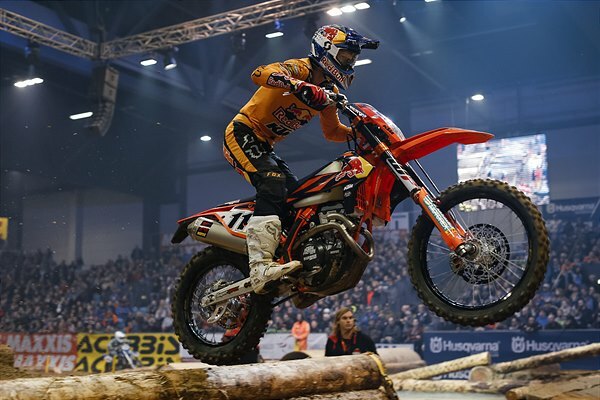 As runner-up at the opening round of the series in Poland last December, defending world champion Webb was determined to turn the tables on his KTM teammate Blazusiak in Riesa. A venue he has made his own in recent years, Webb immediately got to grips with the fast and flowing track, setting the second fastest time in SuperPole. Despite a mid-pack start in race one, KTM 350 EXC-F mounted Webb was quick to carve his way through the field and work his way up to the wheel tracks of leader Blazusiak. Making a break for the lead, he put his KTM out front and claimed a well-deserved win. Making the best of the reversed start order in race two, Webb wasted no time in reaching the front. Building a comfortable advantage he claimed a commanding 19-second victory. Aiming for a hat trick of race wins, the American’s hopes of a clean sweep unfortunately didn’t materialise in race three. A couple of early mistakes left Webb playing catch up, finishing an eventual third. 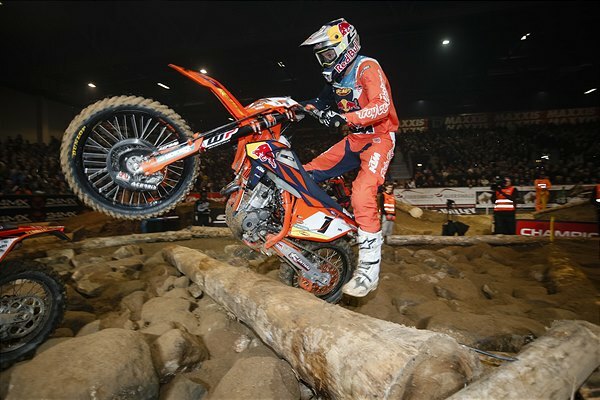 But with enough in hand thanks to his two earlier race wins, Webb topped the overall podium and with it becomes the new leader of the 2019 SuperEnduro series. Following his winning performance at the opening round of the championship in Poland, Taddy Blazusiak entered Riesa aiming to keep that momentum rolling. Feeling confident in practice, he lined up for the opening race eager to put his KTM out front. However, following a crash from Alfredo Gomez, which resulted in a restart, he became unnerved by the incident and lost his rhythm and feeling with the track. Nevertheless a 2-3 scorecard in the first two races kept him in the hunt for the overall podium entering race three. Feeling more settled, Blazusiak regrouped in style to secure an almost start-to-finish win, ultimately ending his night as runner-up to Webb. The 2019 FIM SuperEnduro World Championship continues with round three in Madrid, Spain on January 26.